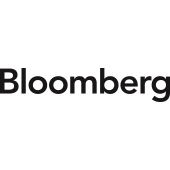 FWA thanks Bloomberg for the kind sponsorship of the venue and lunch. Who are you at your best ? Focused, fearless, and confident in your ability to achieve what you want and change what you don’t. The questions is what keeps you from being that way more often? In this power packed opening session for 2018, bestselling author and women’s leadership coach Margie Warrell will unpack the research on what it takes for women to truly thrive and overcome the doubt and false belief’s that too often hold women back. Women make great leaders and can move mountains when we set our mind to it. Join us at the “Train The Brave: How to over-come self doubt to achieve your boldest goals for 2018” to hear bestselling author and women’s leadership advocate Margie Warrell share strategies to quiet your inner critic, rethink risk and gain the clarity, confidence and courage needed to chart your bravest course in your career, leadership and life. This session will be inspiring, interactive, practical and fun. Come with an open mind and you’ll leave wiht a bold game plan for 2018 and beyond. Margie Warrell is a bestselling author and international expert who is passionate about empowering women to be braver leaders and make their boldest mark. Margie draws on her background in Fortune 500 business (BP Oil, KPMG), psychology and coaching to help women be stronger leaders, braver communicators and better agents for change. She has run leadership programs in organizations internationally including NASA, the United Nations Foundation, to name a few. A passionate advocate for women in leadership, gender equality, diversity and conclusion, in 2016 Margie was appointed Ambassador for Women in Global Business and is a Women’s Economic Forum honoree. A Forbes Columnist, she is also a regular media contributor with leading media such as the Wall Street Journal, Al Jazeera & Today Show. Her four bestselling books - Find Your Courage, Make Your Mark, Stop Playing Safe and Brave - have been published in seven languages. Recently relocated to Singapore, Margie is also the mother of four teenage children. In her spare time she enjoys sharing adventures with them and her husband, most recently summiting Mt Kilimanjaro! As we expect this event to be very popular, seats will be allocated on a first-come-first-served basis. Please sign up early to avoid disappointment. Deadline for RSVP: 8 January 2018. We apologise that requests for places after the deadline will not be entertained. We understand that with busy schedules, there may be times when you cannot make an event after you have registered for it. In the event that you cannot make an event, we appreciate that you use our new tool now available to cancel the event. To do so, please login to the FWA website, under “My Account”, select “My Events”, you can cancel the event registration under the “Cancel registration” column. For members that no-show for 3 consecutive events, we regret to inform that you will be barred from attending any FWA events for the next 3 months. We hope you understand this policy as our events are often in high demand and your co-operation will allow those who can and wish to attend our events to do so.